Do you think that we are experiencing a Constitutional crisis? We woke up on Sunday morning 3 July in exactly the same position that we went to bed in on Saturday night. We have a federal caretaker Government until it is clear who is the winner of the election. We just have to wait a little longer than expected for a Prime Minister to claim victory. Sure, many people did not expect this very close result, with votes still being counted in the marginal seats. Some people thought we were going to get a particular result and now we just have to wait to see what the result will be. Some in the media seemed to have picked a side before the election and when they get the prediction so wrong we are warned how important it is to separate opinion from factual, accurate information. Since the election there has also been a lot of alarming things written and said about the possibility of a hung Parliament. But we need to remember that our system has been designed to cope with minority Government. In fact right after Federation minority Government was the norm and even today the Liberal and the National Parties are actually a coalition of two parties that could go their separate ways. Last week’s CCF highlighted the importance of each individual vote. As Australia still waits while the votes are counted we can reflect on the freedom of voice each of us have. And, even the process of waiting for results demonstrates our Constitution at work. It has been reported that 3.5 million people chatted on Facebook about election issues in the lead up to the election. Were the media and politicians listening? During the election period our CCF’s reached over 50,000 people and attracted almost 1,000 comments, just on Facebook. We listened carefully to what you were saying on all our social media channels. We answered you on your many questions about Constitutional processes. The information that we have seen published in the media in the last few days has been confusing, sometimes incorrect or it seems written to intentionally cause readers to feel as though we are going through some sort of crisis. In reality there are a set of processes that will now occur and we must be patient. There are a lot of votes to count and therefore there are still a lot of what-ifs. So let’s try and answer some of the questions being asked today. Snap election and hung Parliament? Stop the press we’re being told there could be a snap election! To be fair, this isn’t all the fault of the media. The Opposition Leader Bill Shorten did come out and say we might face a snap election. Each of us can form our own opinions as to why he would say this, but a snap election is very unlikely. If we do end up with a hung Parliament and neither the Coalition nor Labor can secure the support of enough crossbenchers to reach the magic number of 76 in the House of Representatives, then the Governor-General would convene Parliament to sit (on the advice of the PM). The current Government is given the first opportunity to form Government. After the speaker is elected, the first matter of business in the House would likely be a no-confidence motion brought on by the Labor Party which would test the support of the Government on the floor of the Parliament. It would be a numbers game. Crossbenchers could abstain from voting or they could choose a party to vote with (Bob Katter has stated that he will support the Government in confidence motions, but maintains the right to switch sides at any time) and depending on how the numbers goes the Government may be brought down. If the Government is brought down by a vote in the House, the consequence is that the Governor-General would then likely offer Government to the Opposition. This is one of the Governor-General’s reserve powers. The tanks don’t roll down the street. The military, hospital and schools continue doing what they normally do and we all just get on with our lives. Looking at how the numbers stack up right now, it is likely that the Coalition would survive a no-confidence motion. Of course if the new Parliament doesn’t work well, or there is a by-election in a seat that changes Government support, or some MP’s decide to leave their parties to become Independents which changes the numbers on the floor, then we could be heading back to the polls. But it is very unlikely that this would happen immediately. There has been speculation that one of the Independents could be asked to take on the role of Speaker in the next Parliament. This would help shore up an extra vote on the floor of Parliament for the party that gains Government. It is interesting that Independents Cathy McGown, Andrew Wilkie and Bob Katter have already publicly stated that they will not take on this role. We will need to watch this space. 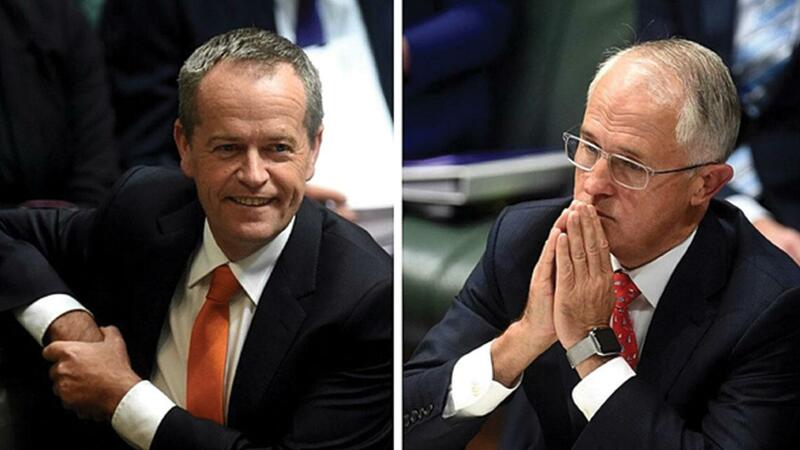 Have you heard that Labor and Liberal will gang up on the smaller parties to give themselves six year terms in the Senate? As a result of double dissolution election all Senators have just been newly elected. Some people are saying that the two major parties can use their numbers in the Senate to award themselves six year Senate terms while relegating Independents and minor party candidates to three year terms. We explored this topic about a month ago. There are two accepted methods of appointing six and three year Senate terms. And ultimately the Senate will vote to choose how the terms are divided up. However, we don’t even know the makeup of the Senate yet. In any case, the less votes a candidate receives the lower the chance of them receiving a six year term using either of the two accepted methods. By understanding our system of government under our Constitution we can be better informed about the processes that will now occur. The closeness of the vote in this election has interested many Australians. Some people think that the Constitution is an anachronistic, dusty old book, with no relevance today. However, our CCF has now reached over half a million Australians. This proves that people are interested in our Constitution, especially its contemporary relevance. Our CCF analysis helps people understand and interpret the important issues and how the Constitution relates or even frames these events. It’s time we implemented plans to reach more people with factual Constitutional education, so that Australians are not frightened by the scary things being said and written about a possible hung Parliament. Here at CEFA we will continue to give you accurate, factual, sensible and balanced information about the peaceful workings and processes of our democracy under the Australian Constitution. If you support CEFA to implement new projects and expand on projects like the CCF, our schools programs, our undergraduate and first-time voter programs, then please consider making a tax-deductible donation. You can also contact us to volunteer your time and forward this CCF to your family and friends. And meanwhile the Constitution is again providing the safe guidance of our democracy as our nation’s rulebook.